Provide comfort for the family of Sharon Harvey with a meaningful gesture of sympathy. 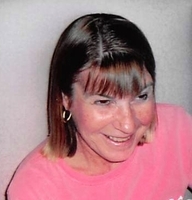 TYNGSBORO - Sharon P. (Crowley) Harvey, 63, of Tyngsboro, formerly a resident of Chelmsford, passed away on Monday, April 15, 2019 at her home, surrounded by her loving family. She was the beloved wife of William (Bill) Harvey with whom she shared 22 years of marriage. She was born in Wareham, MA, on May 2, 1955 and was a daughter of Dolores (Casali) Crowley of Naples, FL and the late Walter W. Crowley. Sharon graduated from Chelmsford High School and then attended NH college where she earned a Bachelor's Degree in Education and further went on to receive her Master's Degree. She taught at Lowell Catholic high school as well as other high schools within the Middlesex area. Sharon was a loving wife and enjoyed spending time with Bill traveling to Maine, which was her favorite place to vacation. In addition to her husband, Bill and her mother, Dolores, Sharon is survived by her sister, Paula (Crowley) McDonagh and her husband, Peter of Chelmsford, MA and her brother, Walter "Chip" Crowley of Naples, FL. She is predeceased by her father, Walter W. Crowley and her brother, Kevin Crowley. Visiting Hours will be held from 4:00 - 7:00 on Wednesday, April 17th at the Blake Chelmsford Funeral Home, 24 Worthen St., Chelmsford. Funeral Service will be held in the funeral home on Thursday at 12 o'clock. To plant a memorial tree in honor of Sharon P. Harvey, please visit our Heartfelt Sympathies Store.